"First time in the history of India for the road project which includes 'Rashtriya Mahamarg' and The Pradhan Mantri Gram Sadak Yojana (PMGSY) around Rs 1 lakh crore provision has been given and this is a historic decision for the infrastructure of the country"
Jaitley announced that about 85 per cent of the stalled road projects were back on track. Gadkari said he hoped that the remaining 15 per cent stalled projects would be solved in the coming month. 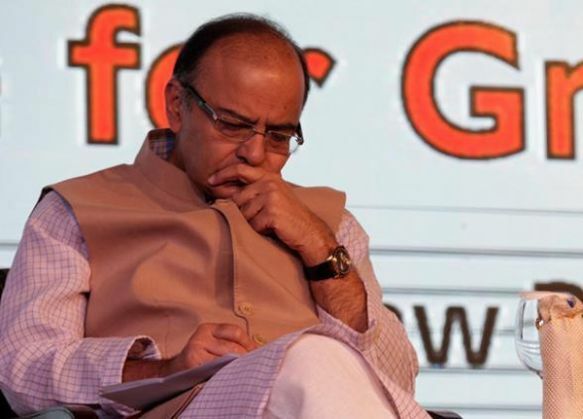 In the Budget speech, Jaitley had announced Rs 2,21,246 crore for the country's infrastructure. The total allocation for the road sector, including the Pradhan Mantri Gram Sadak Yojana (PMGSY), will be Rs 97,000 crores. Expressing happiness over the budget Gadkari said the Rs 1,600 crore proposed for the shipping sector and inland waterways will boost both the sectors. "For the first time in history, Rs 800 crore has been sanctioned for our ambitious inland waterways and Sagar Mala projects, beside that he has made a provision for Rs 800-crore tax exempted bonds, so these 16 crores would be of great help to the shipping and inland waterways," said Gadkari.